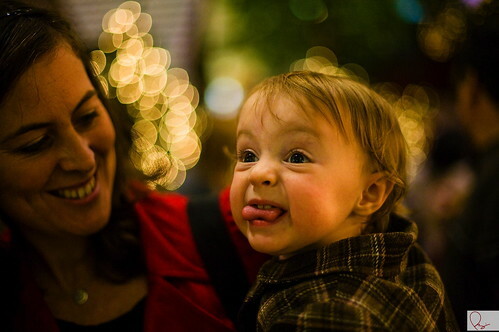 Christmas & Dad - 01, originally uploaded by Parris Studios:. Two quick pics before I head out to work... late again. This is another one of Charlie's many faces, not sure what started this one, but for a while this was her "Show me your teeth" face. Kid is a riot! 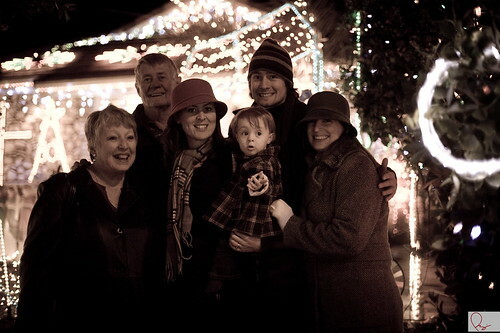 And the other was a quick family shot at a neighborhood here in Brea that goes all out for Christmas. This place was called Vegas - or we called it that, I don't know which but it was BONKERS!! Uber lights everywhere... good times though walking with family and friends! This is my fam - well, sorta, we're a large family, 3 brothers & 3 sisters, so not technically all my fam, but still... My little sis Aud and her family were going to join us, but due to some last minute changes couldn't make it. We love you & are uber proud of you Aud!! More coming of Dad's trip to K1 (which I'm addicted to now by the way, some King pictures... there's quite a line up coming. So until then - aloha!! And I'm uber proud of you!